InterMoor Named a Winner of the Houston Metro Area 2017 Top Workplaces Award. InterMoor, a leading provider of mooring services, foundation solutions, and offshore installations in subsea services group Acteon, has been awarded a 2017 Top Workplaces honor by The Houston Chronicle. This year, 2,317 companies in the Houston area were nominated and only 150 made the list. In the survey, InterMoor employees shared that they appreciated the fact that new ideas and different points of view are frequently encouraged at InterMoor. In addition to employer-provided health and dental plans, InterMoor employees are awarded with regular team building activities and a company-matched 401K program. 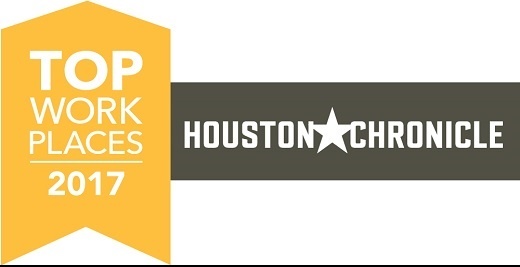 “We are proud and honored to have been nominated by our employees for a spot on The Houston Chronicle’s Top Workplaces list,” said InterMoor president Tom Fulton. The Houston Chronicle published the complete list of Top Workplaces on Sunday, November 5th.